A scary scan taken at the 22 week mark of a 33-year-old woman’s pregnancy revealed a baby with its feet extending right through the mother’s uterus, and its protective amniotic sac right along with it. 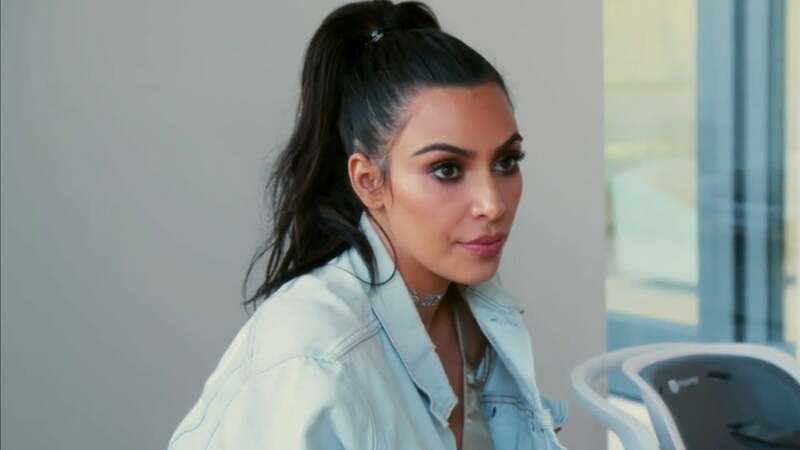 As reported in the New England Journal of Medicine, the 33-year-old mother, who had no idea anything was wrong, was in for a regular checkup when the rupture was detected. 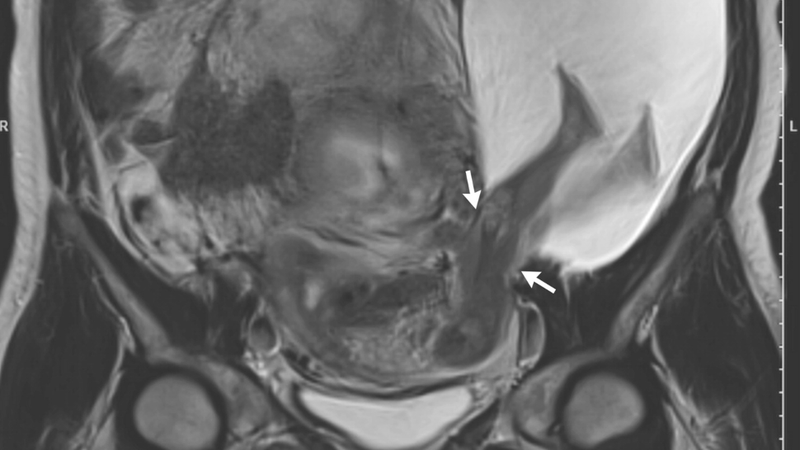 Ultrasounds and a subsequent MRI revealed a 1-inch (2.5 cm) rupture of the left uterine wall, and an unusually large herniated amniotic sac containing the baby’s very discernible legs (normally, the baby is fully inside this fluid-filled sac, which contains and protects the fetus in the womb). Doctors informed the parents of the potential risks. With part of the uterine wall breached, the mother was a risk of having her entire uterus ruptured. A life-threatening condition known as “placenta accreta” was also possible, where blood vessels and other parts of the placenta grow too deeply into the uterine wall, potentially leading to heavy bleeding after birth. The mom was also at risky of having to have a hysterectomy and giving birth to a premature baby (normal pregnancies are around 39-40 weeks). Undaunted, the parents decided to go through with the pregnancy, but with close monitoring. The mother was told that bedrest was not required, and that she could go about her pregnancy as per normal. 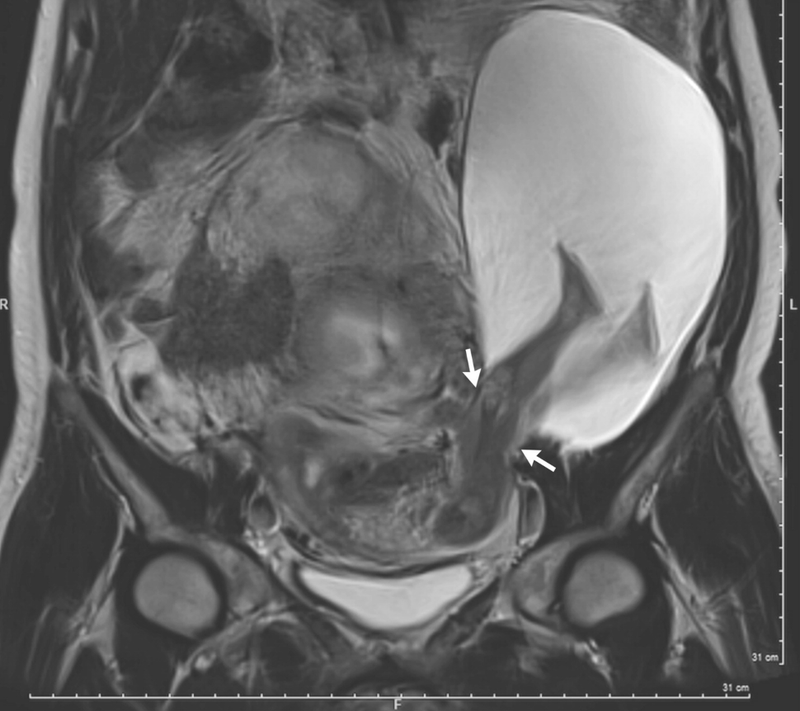 The OB/GYN who attended to the case, Dr. Pierre-Emmanuel Bouet from Angers University Hospital in France, said he had never seen a case like this before, telling Live Science the condition is “very rare” and that only 26 similar cases exist in the literature. This was the mother’s sixth pregnancy, the previous five ending with cesarean sections. Bouet said the areas in which the uterus had scarred after the mother’s previous C-sections were strong, but the regions around it had weakened. The weight of the baby, plus the pressure on the uterus, ultimately led to the rupture. By week 30 of the pregnancy, the uterine tear had grown to an alarming two inches (5 cm), and the herniated sac had grown so much it enveloped the baby right up to its abdomen. At this point, the doctors decided to schedule a cesarean section, yielding a 3-pound baby boy. After the delivery, the doctors patched up the rupture, and the sac was repaired. The mother recovered quickly and was discharged from the hospital after just five days. Six months after the birth, the baby is reported as doing fine and well.